Demand from investors for this type of securities is explained by their attractive risk/return ratio. Indeed, even if yields depend on the issuing bank and the origin of the country, in general this yield offered is higher than that of government bonds issued for the same maturity in the same country. Covered bonds are debt instruments issued by a bank or mortgage institution and collateralised against a pool of assets such as mortage loans. 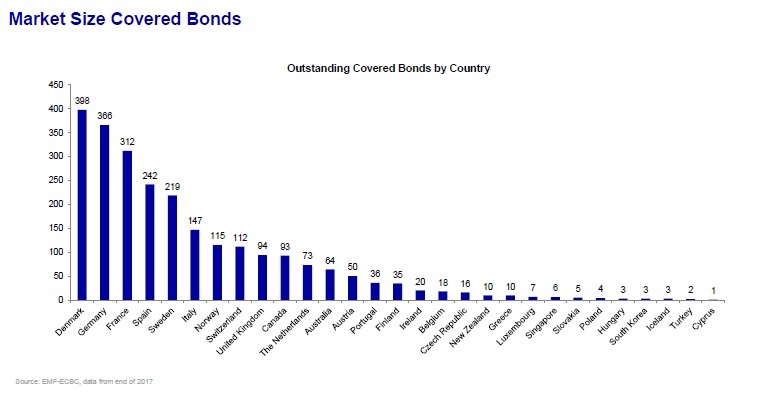 Even if this type of bonds is very popular in Europe. However, to date there have been very few covered bond offerings in the United States. The concept behind covered bonds is simple : these bonds are backed by the cash flows generated from an underlying investment pool. That collection of investments, called the cover pool, consists of either mortgage loans or public-sector loans. However, in most cases, covered bonds are secured by a cover pool of mortgage loans. 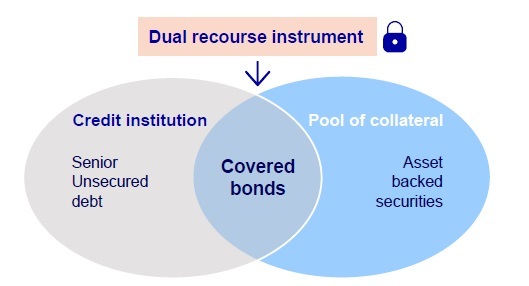 Covered bonds are generally issued for a period of 2 to 10 years and get a good rating by the rating agencies (in general AAA or AA) as investors have two recourse in the event of default : one against the issuer and one against the cover pool. Thus, even if economies stumble into recession, covered bonds are often a safe haven for investors. For example, Fitch Ratings said recently that “the AAA ratings of covered bonds issued by major UK banks are resilient to a deterioration in their environment, notably from Brexit”. 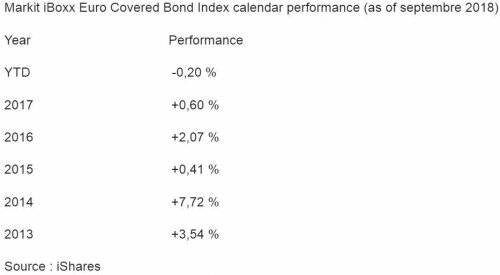 The covered bond market is very liquid : “the volume outstanding was about 2 500 billion dollars at the end of 2017”, said Tiphaine Dureau, product manager for Nordea AM. The largest issuers are located in “Denmark, Germany , France, Spain and Sweden”, she added. Among them, Danske Bank, Deutsche Bank, BNP Paribas, Société Générale, Santander, Banco Espirito Santo, ABN AMRO, Caixa or Bank of Ireland for example. Covered bonds are primarily used by Central banks, pension funds, insurance companies, asset managers, bank treasuries, and other institutional investors. According to the experts, the main benchmark for the covered bond market in Europe is the Markit iBoxx Euro Covered Bond Index which tracks the performance of euro denominated investment grade covered bonds across Europe. Investors searching for managed exposure to this asset class could also use some funds and ETF provided by several asset managers. Amundi, Deutsche Bank’s asset managing division, DWS or Scandinavian Nordea Asset Management have opened managed mutual funds specialized on covered bonds. There are also index funds providing a transparent low-cost access to covered bonds. Among them, BlackRock’s iShares ETF has been tracking the Markit iBoxx Euro Covered Bond Index since 2008. Therefore, there are many ways for retail and institutional investors to get an exposure to this asset class.